There are some films whose behind-the-scenes shenanigans are more interesting than anything that happens on screen. 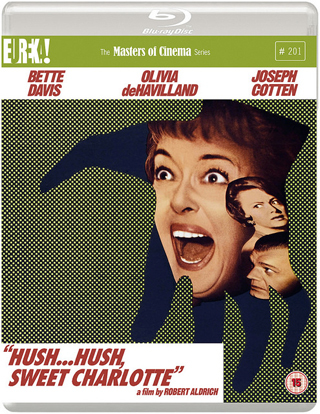 Hush… Hush, Sweet Charlotte is one of them. The film focuses on the title character, an ageing former Southern belle whose life has been ruined by the events of one fateful night when her married lover, John Mayhew, was murdered in a particularly brutal fashion. As it happened immediately after Mayhew dumped her, everyone assumes Charlotte did the deed, although she was never arrested. Years later, the mansion in which she grew up and has always lived is under threat from the development of a new road. Charlotte, unable to cope with the situation, is thrilled when her long-lost cousin Miriam arrives to help, just as an insurance investigator turns up, determined to get to the bottom of the murder once and for all. What transpires is a lurid Southern Gothic tale full of twists and turns, in which Charlotte’s fragile psyche is pushed to the very edge. And that pretty much mirrors what happened to Joan Crawford during her days on set. 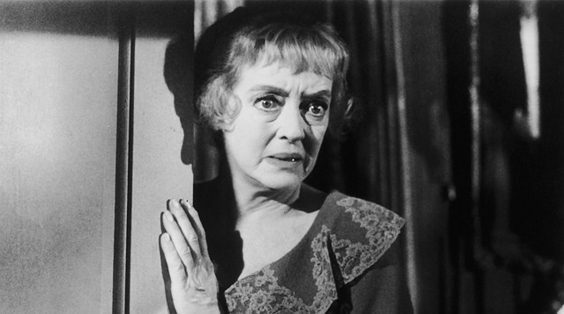 The film was originally designed to cash in on her and Bette Davis’ success in Whatever Happened to Baby Jane?, but Davis wangled an associate producer credit for herself, allowing her to undermine her arch enemy Crawford at every turn. She also made sure she cast some of her friends in leading roles – Victor Buono plays Charlotte’s father, while Mary Astor portrays Mayhew’s widow – and managed to get the crew onside, alienating Crawford further. Eventually she left the production, so Olivia de Havilland stepped in to play Miriam. It may actually have been to the benefit of the film. De Havilland apparently delivers a more subtle performance than Crawford’s interpretation, which makes her far more interesting. Davis veers from over-acting to brilliance and back again with alarming regularity, but for the most part, director Robert Aldrich keeps her under control. The film itself looks wonderfully crisp in blu-ray, and there are a couple of excellent special features. The first is a look back to the making of the movie, while the second sees Bruce Dern, who plays Mayhew, discuss his time on set in a highly entertaining manner.